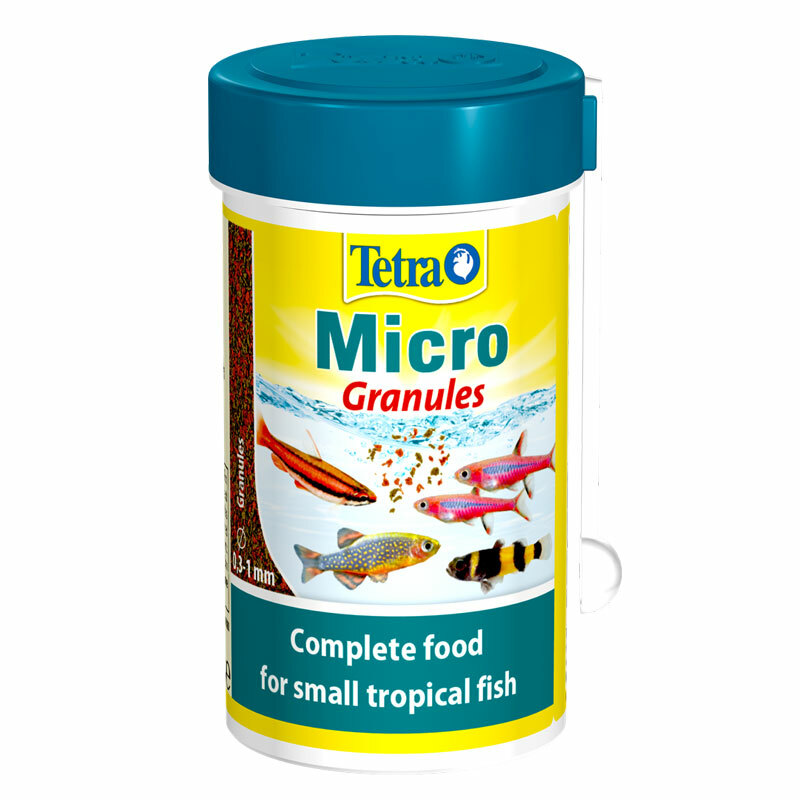 Tetra Micro Granules are suitable as a complete food for all ornamental fish with small mouths, which feed in the middle and bottom regions of the water. These granules with an extra-small diameter of 0.3 to 1 mm contain top-quality nutrients and have a balanced formula comprising plant and animal based ingredients. The small Tetra Micro Granules are therefore ideal for small fish as they soften up quickly in the water, making them easy to eat. They also contain top-quality nutrients and have a balanced formula comprising plant and animal based ingredients. As such, they offer everything that plant and meat-eating fish require for a balanced diet that is tailored to their needs. Furthermore, this complete food is really highly digestible, which helps to keep the water clear. All in all Tetra Micro Granules are an ideal complete food for all small ornamental fish as well as young, growing cichlids and marine fish.